The year is 2043, what you used to know as Africa the continent is now Africa the country – a modern utopia where what you think is impossible right now is possible. A time where your mobile is now part of your biology and ingrained into your body. The aim of Afrofuturism is to envision a different Africa with empowered African people moving away from Western beliefs. This involves a culmination of science fiction, fantasy, and historical fiction merging with African traditions, culture and beliefs to create a world in which Africans thrive. The term was conceived a quarter-century ago by author Mark Dery in his essay Black to the Future, which looks at speculative fiction within the African diaspora. A great example of the application of Afrofuturism is Marvel’s 2018 blockbuster Black Panther. The futuristic fictional African country with a different history from the rest of the world was still relatable because not only do they speak real African languages but wear real African regalia too. We create stories that connect consumers to the brand but we are also responsible for how those brands make people feel. The key word is empowerment, empowerment, empowerment! If a brand helps a woman feel more beautiful, that brand empowers that person. Afrofuturism does the same thing for all Africans. We take charge of our own narrative; not the one history has written for us but one where we decide what the future looks like. I must admit when Absa rebranded, the term Africanacity was hard to run from. It was everywhere – TV, radio, billboards, digital and on social media. Africanacity became a buzzword and people wanted to know what it means. Absa received a lot of criticism for their new logo because it looks exactly like another brand (not gonna mention any names). Even Nandos did a parody of their TVC to get in on the conversation because Africanacity was everywhere! The focus of this new direction was simple: a focus on Africans finding a way to get things done. If you watch the TVC you’ll realise the people in the ad are all solving some sort of problem by colouring outside the lines and doing what they need to. For instance, there’s a young man charging his phone with kinetic energy while riding his bike. Take a look. The thinking behind One Source Live is that Africa is the source of all humanity and therefore the source of creativity. 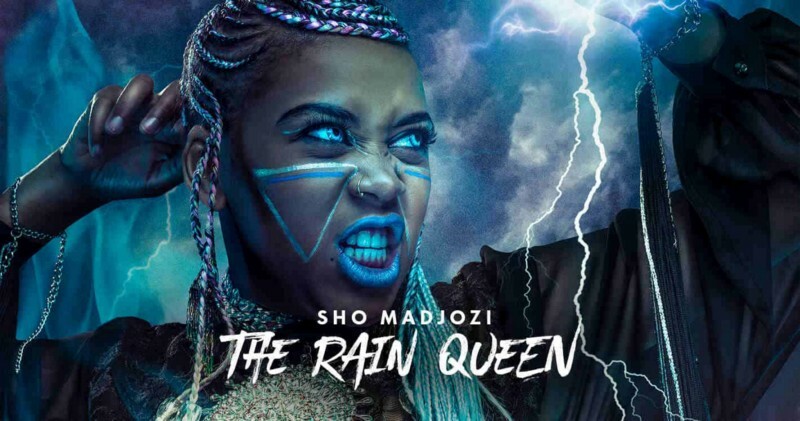 The use of science fiction, technology and historical fiction is evident in this campaign and that’s what makes it so powerful: you see Africa in a different light when it comes to creativity. Honestly, I think this campaign could have been executed better however it speaks to a real human truth: because of globalization and westernization we seem to have lost our way. We have to go back to our roots and remember what it means to be African. We need to #GetItBack. Africa is the future! Wise words coming from an African DJ who has gained international success by entertaining the world through African music. Who would’ve thought? Which is why when we set out to take African music to the world, he was the guy we partnered with. Dankie Black Coffee! Don’t be mistaken in thinking Afrofuturism is coming…some time. It starts now! This interview about the Party of the Year is a great example of what it means to live Afrofuturism in the present. 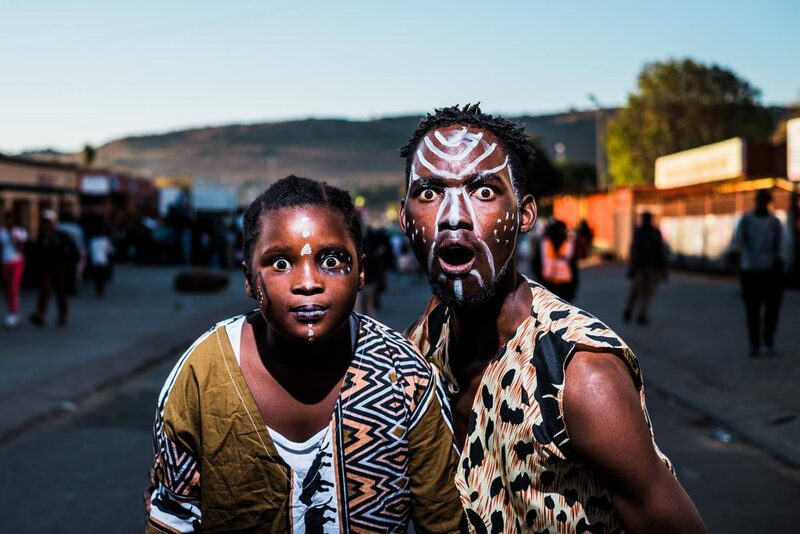 The Afrofuturism movement is also being propelled forward within the rest of Africa. 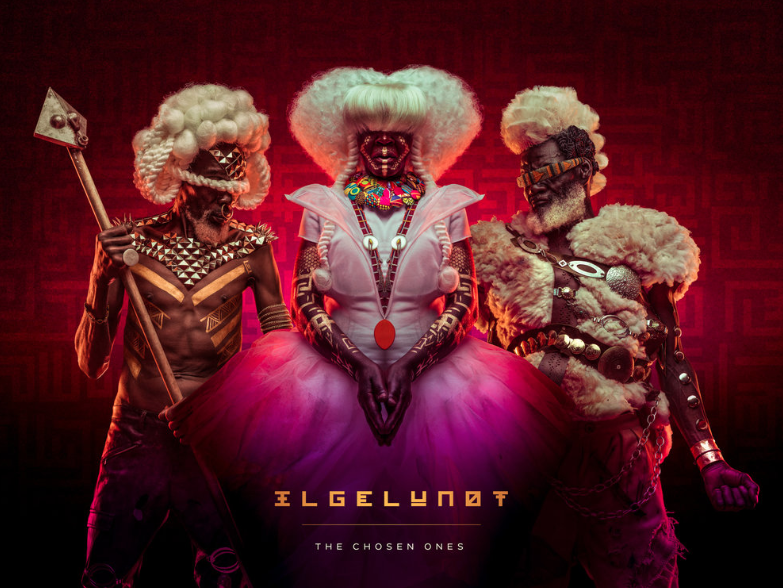 A special shout out goes to Kenyan photographer & artist, Osborne Macharia, who created Ilgelunot (‘The Chosen Ones’ in Maasai), a story about three blind elders who possess alien powers and use them to usher in the heroes of the future. This was a collaboration for the premier of Black Panther in London. The answer is, we don’t! Now is the time for Africa to flex our creative muscles and move forward.